Experts suggest how to cope with the nausea that often rolls in the most inopportune moment. Here are a few tips . In a stuffy metro fan simply vital. It is assist and magazines or newspapers. But the fan is easier to carry in a handbag. 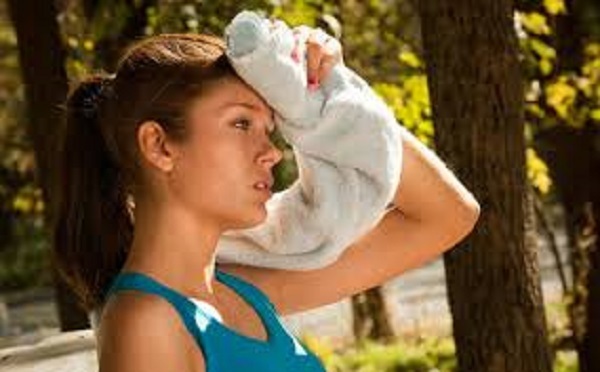 – Now, when the temperature is raised, can particularly affect people with vascular dystonia, – says the doctor. It is particularly difficult to carry women during menopause and young women during menstruation. If the attack dystonia (dizziness, darkening of the eyes, weakness, and nausea) found on the street, be sure to step back into the shadows .Begin vigorously to fan or newspaper. Home is best to lie down, covered his head with a wet towel. – Normalize the pressure, you can use acupressure. – Massage movement’s strong enough point under the nose, two points in the corners of the eyebrows (at the bridge) and two at the back – on the border of hair on either side of the spine. – Council people to carry a bottle of water, seemingly so obvious that’s no need to comment. But water also helps in cases where the covers nausea. Cool water; moisten the inside of the arms from shoulder to wrist. It also helps to slightly lower the pressure, eliminate dizziness. – In the heat of the heat generation process is started, heat. – The body is rebuilt. In the heat we need two and a half to three liters. And it is desirable that the ascorbic acid was water. For example, need to squeeze half a lemon in the morning. Together with the sweat we lose a large amount of ascorbic acid. You can, of course, in the morning just to drink vitamin C. But it is better if the water is slightly acidic – it quenches thirst better. – In the heat we recommend hot tea. – Hot drink regulates heat, and green tea (it is preferable to black) contains substances that help reduce the number of body temperature. And they are activated is hot. In addition, green tea is a good effect on the blood vessels that are suffering in the heat. But the cold water could again provoke a shock to the body. if unprepared person after a bath to dip into the hole. – The biggest problem in the summer – blood clots. – Therefore it is necessary to drink water or teas with herbs that help a little thin the blood. For example, the infusion of lemongrass is (five drops per cup) and hibiscus (to taste). The second problem is – hypoxia of the brain, i.e. the lack of oxygen, which sometimes brings to the present suffocation of what people fainted on the subway. Therefore, be sure to add heat to tea (or brew separately) rose, sage. You can buy ready-made tincture of barberry. In third place is – a vessel problem. For them cardiotonic necessary to maintain the elasticity: meadowsweet, willow, and verbena. They can also be added to the normal green tea or brew separately. These herbs have a mild sedative effect, so it is especially helpful after a long hot day. Normalize sleep will help tea from mint, fennel and rose petals. You can buy ready-made soothing fees №2 and 3, and special evening teas for children. In the heat of the body temperature drops terrible. Therefore, so doctors do not recommend putting the air conditioning on low temperature. Try to strike a balance – if the street 30 degrees in the room should not be less than 25. The difference of five degrees to the body is not terrible. The same applies to air conditioners in vehicles.